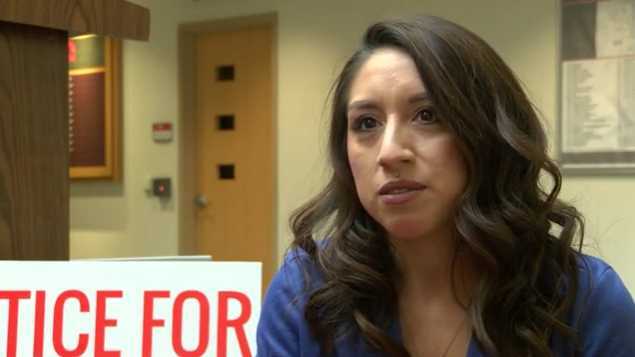 ALBUQUERQUE, N.M. — A New Mexico woman who had an abortion in 2012 and recently discovered that her baby’s body parts had been sent for research without her knowledge has filed suit. Jessica Duran, then 21, had been advised by the father of her child and her parents to have an abortion when she found herself pregnant. She didn’t really want to end her child’s life, but went to Southwestern Women’s Options in Albuquerque, where she says that she wasn’t provided any other choice. She says that she was provided a form to sign, but was not told that the document included a line consenting to the use of her baby’s body for research, nor that the consent is voluntary. “I understand that tissue and parts will be removed during this procedure, and I consent to their experiment and their use in medical research,” it read. She said that had she known, she would have left the abortion facility as it would have rang in her ears as a testament to the life inside of her. Duran is now troubled as information has surfaced through a Congressional report that Southwestern Women’s Options transferred baby organs to the University of New Mexico, which is believed to be a violation of the state’s Spradling Act. The law prohibits gifting the organs of a child whose life has been ended through abortion. “To know my child was used as a science project—a child I loved and wanted—it’s devastating,” Duran said at the press conference. As previously reported, the Congressional panel on Select Panel on Infant Lives sent a criminal referral to Attorney General Hector Balderas in June over its findings. New Mexico Alliance for Life says that not only is the transfer of baby body parts from Southwestern Women’s Options to the University of New Mexico illegal, it was also unlawful that the abortion facility did not explain to Duran what they planned to do with her baby. Duran is now seeking damages and is asking that the court stop Southwestern Women’s Options from sending any further babies for research.